Planets form when bits of dust conglomerate into rocks, which conglomerate into boulders, which conglomerate into larger and larger objects. In our inner Solar System, we can see many of these larger rocks, or asteroids. We can study them, but they’re not the same as the distant, ancient KBOs. Asteroids in our neighbourhood have been changed by exposure to solar radiation, by collisions, and by interacting with the gravity of the planets. But KBOs are more pristine. They’re a truer representation of the state of things in the early Solar System. That’s why finally confirming the existence of one is creating so much interest. Scientists have predicted the existence of KBOs between 1 km and several km diameter. But they’re so far away, so tiny, and so incredibly dim that there’s just no way a telescope can spot one. But a research team led by Ko Arimatsu at the National Astronomical Observatory of Japan found a way to detect them: occultation. In the same way that we can detect exoplanets around distant stars by watching for dips in starlight, Arimatsu and his team reasoned, we can watch distant stars and look for dips caused by a KBO in our Solar System. They started the OASES (Organized Auto-telescopes for Serendipitous Event Survey) project to do it. They placed two small (28 cm) telescopes on the roof of the Miyako open-air school on Miyako Island, Miyakojima-shi, Okinawa Prefecture, Japan, and monitored approximately 2000 stars for a total of 60 hours. 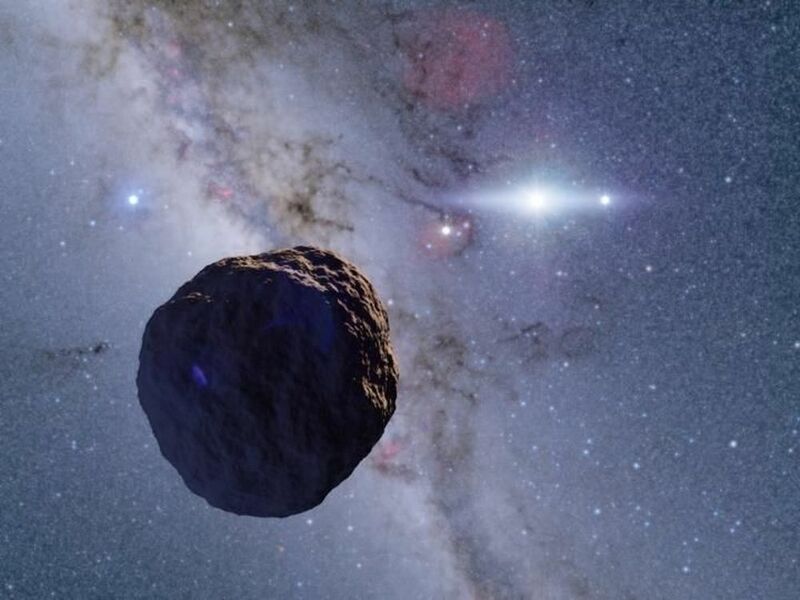 When they analyzed the 60 hours of data, the team discovered a star appearing to dim as it is occulted by a 1.3 km radius Edgeworth-Kuiper Belt Object. Their work indicates that kilometer-sized Edgeworth-Kuiper Belt Objects are more numerous than previously thought. It also supports planetary formation models where planetesimals first grow slowly into kilometer sized objects before runaway growth causes them to merge into planets. 2.6 (title) or 1.3 (article)? 1.3 km radius, 2.6 km diameter.